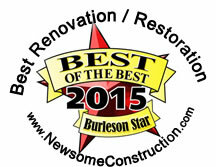 Commercial Construction specializing in Church Design and New Construction. 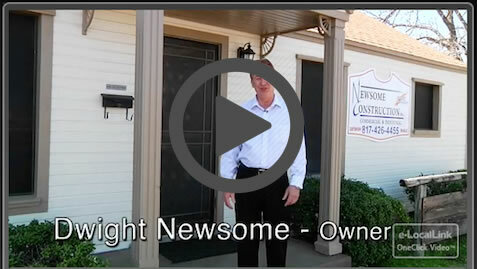 Newsome Construction, Inc. was founded on the principal of Building with Integrity. We work with you through every process of your project and with over 75 years combined experience in the Design/Build and Commercial General Contracting business, you can feel confident that the final result will exceed your expectations. 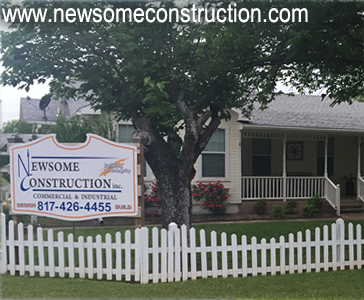 Newsome Construction, Inc. is a Commercial General Contractor, Design & Build firm that specializes in churches, shopping centers, warehouse construction and professional buildings located in Burleson, Texas. quality work with a professional attitude.